A thought-provoking look at how we can encourage the next generation of family historians and historians and why we might want to do so. Suggestions cover activities, outings, toys, games, books and ways of exploiting technology in order to motivate and enthuse young people, even toddlers, so that they engage with their history and heritage. Janet is an experienced family, social and community historian who is sought after as a lecturer on these subjects throughout the UK, overseas and at sea. 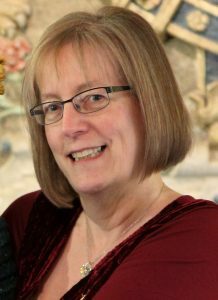 She runs family history courses for Pharos Teaching and Tutoring, is a columnist for The In-depth Genealogist magazine and has written several books. Her first historical novel, Barefoot on the Cobbles, is due for publication in November 2018. Working as an historical interpreter, Janet spends time living in the seventeenth century as her alter ego, Mistress Agnes. Her book, Coffers, Clysters, Comfrey and Coifs: the lives of our seventeenth century ancestors, describes the social history of the period. She is the manager of Swords and Spindles https://swordsandspindles.wordpress.com, a company providing living history presentations for schools, heritage sites, history societies and social groups. Janet is passionate about encouraging young people to become interested in the past, especially through living history or family history. Many of her ideas are shared in the booklet Harnessing the Facebook Generation: ideas for involving young people in family history and heritage available from Unlock the Past Publications.